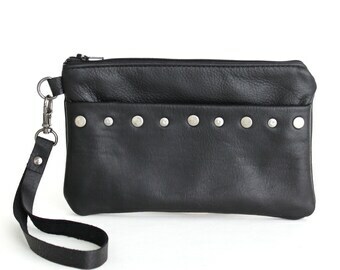 Announcement Handmade leather handbags, card holder keychain wallets and bag charms for your active stylish life. Our uniquely styled bags keep you fabulous and organized as you go through your day. When you have a full schedule, you need stylish accessories that keep your essentials conveniently at hand, you need a unique Crooked Smile accessory. 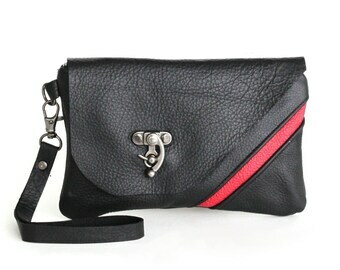 Handmade leather handbags, card holder keychain wallets and bag charms for your active stylish life. Our uniquely styled bags keep you fabulous and organized as you go through your day. When you have a full schedule, you need stylish accessories that keep your essentials conveniently at hand, you need a unique Crooked Smile accessory. She went above and beyond my expectations. The bag is absolutely gorgeous and she even custom made an extra waist strap that is better than what I pictured. Also the bag arrived extremely fast. She is amazing! 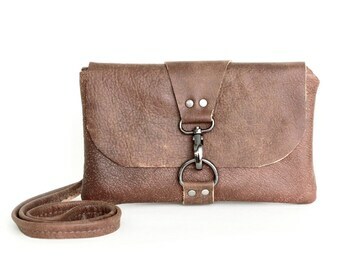 The first purse in brown was a splendid gift. Just had to buy her the black version. Just as beautiful and well made. Thank you! Red hot and ready to ship. Ready for summer music festival season. In 2008, my husband and I moved from Tampa, Florida to Bournemouth, England. It was a transitional time for his job and for our lives. We spent two years overseas and experienced so many things during that time. Acclimating to our life in small town England, we learned how to drive on the left side of the road, bundle up for winter, and navigate the culture of a country that is similar but entirely different from our own. While my husband was at work in the typical Monday through Friday white collar schedule, I was at home with our dog. It was during this time that I purchased a well used sewing machine through an eBay auction. It was a Necchi sewing machine and sometimes I wish I still had it even though it ran on a different electrical voltage. Moving back to America, my desire to sew continued. Another sewing machine was purchased. Over time, I settled in on making handbags. 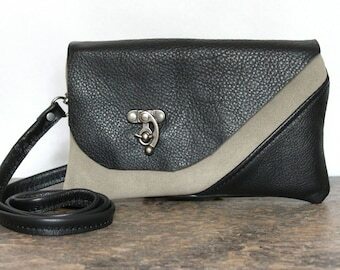 For a period of time I enjoyed making bags from heavy fabrics, such as denim, but I always wanted to work with leather. Leather bags are in a class of quality all their own. Leather is not forgiving to the maker. Cutting and sewing leather must be done with great attention. The attention to detail must be the priority as there is little room for error and there is inherently a higher price for making mistakes than with textiles. Fast forward to current day. If you take a look at the handbag line I have developed, you will see years of development as well as personal fulfillment. I design, cut, sew and finish every item that you see listed. It is a daily necessity for me to be creative. It is so important to me that each item in my shop is made with great care and is unique and stylish. Thank you for taking a look, and please drop me a note to say Hello! Your information is only shared with third party service providers as needed for fulfilling Etsy transactions, such as the US Postal Service.